advice on web name selection – vital to get this right! practical suggestions on how to get a good deal from web designers - whether for business or personal or family use. Michael is an able HTML programmer and specialises in developing websites incorporating PHP and MySQL to create vibrant and effiective websites for a wide range of customers. His skills cover web design, graphic design, email marketing, search engine optimisation and eCommerce. He can find the solution to all your design and marketing needs, blending his skills with other team members, such as Ian (as webmaster) to provide customers with every aspect of web and 'real time' site content or Kath to provide to customers with every aspect of web and print design requirements. Michael suggests all his clients use the brilliant Wordpress CMS (Content Management System). This allows you to make easy updates to your website without the aid of a web developer. Michael is an expert in building with Wordpress he specialises in helping small to medium businesses to achieve an online presence they need. 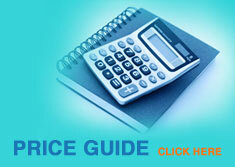 Don't forget to ask about the cost options (see price guide). If Michael is not available, please call 01943 430776 to chat with another team member.